In today's economic environment, generating enough quality leads is challenging for everyone. Over the years, many VAR's have been overly dependent on vendor co-marketing programs, traditional telemarketing campaigns, or have just underinvested in marketing. If you are a Value Added Reseller or IT Solution Provider, you may need to try a new approach in today's market. It is time to call a new play! 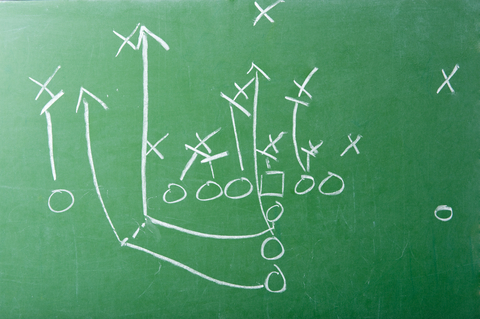 The new play is Inbound Marketing. Inbound marketing is about aligning your marketing with the way customers learn, shop, and buy today. What business customer today would look for solutions to run their business without educating themselves and researching alternatives over the Internet? If your VAR marketing plan doesn't enable you to be found online and if doesn't help in the process of educatiing potential customers on what solutions are available, then you may be misallocating your limited marketing investments. How do you know this is the right play? Because we have lots of data. Let's take a look. It starts with generating traffic to your website through Search Engine Optimization, Social Media, and Blogging. It requires a commitment to creating content that provides value to your prospects and clients. As a Value Added Reseller or IT Solution Provider you need to leverage the content produced and provided by your strategic partners. Once you create increased traffic to your website, you need to capture that traffic and convert it to leads. To do this requires the use of landing pages and lead nurturing campaigns with increasingly relevant content. If you do it well, you will improve the quantity and quality of leads you create for your sales team. In addition to improving the effectiveness of your demand generation investments, the other benefit is having real data and metrics to track your results. Many solution providers have good visibility into the sales pipeline, but very limited visibility into their marketing pipeline and limited information to determine how to invest their limited marketing dollars. Inbound Marketing can provide you visibility all the way through the process, including: traffic volumes, traffic sources, lead conversion rates, offer effectiveness testing, customer conversion rates, and ultimately ROI of your marketing investments. The first step is to look at what you are doing today and understand how many leads you are generating and to what extent you are leveraging your website and Inbound Marketing processes or tools today. If you understand where you stand today, then you can lay out a goal and a plan to get there. If you would like to dig deeper then you can download the Inbound Marketing eBook for Value Added Resellers, by clicking on the button below. You can also directly request help with a free Inbound Marketing Assessment from Pereion Solutions by clicking on the link below.